Emirates continues to delight customers with its annual Oktoberfest celebrations on board and on the ground. From September 22 to October 7, customers travelling in all classes between Dubai and Germany will enjoy a special seasonal menu of Bavarian-inspired food and beverage. 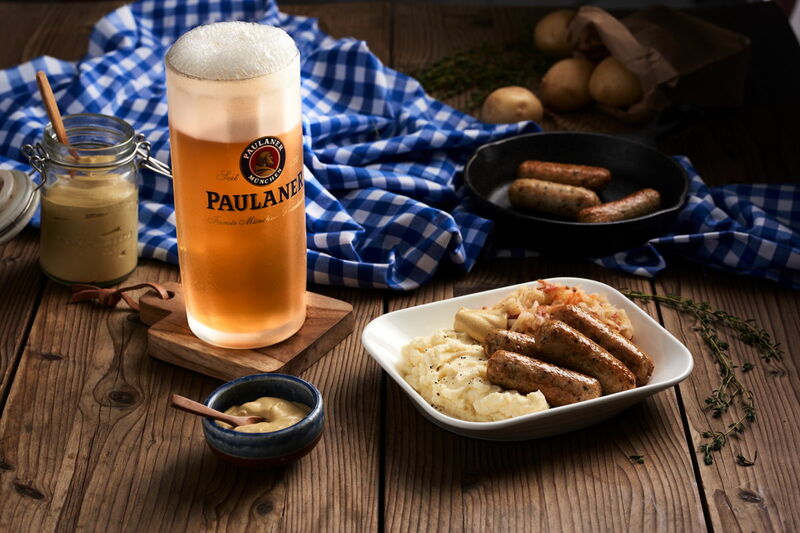 The celebrations kick off in the iconic A380 onboard lounge with Paulaner Oktoberfestbier served in a traditional stein or German beer glass. Paulaner is a mainstay at the festival and has played an active part in Oktoberfest for over 200 years. Today, Paulaner is one of only six breweries to serve at the event, giving customers an authentic Okotberfest celebration at 40,000 feet on Emirates. The A380 onboard lounge, open to First Class and Business Class customers, will also serve a selection of Bavarian pastries and snacks such as pretzels, Baumkuchen, Plum Streusel, Linzer cake and Sacher cake. For a truly German experience, customers can also savour assorted sandwiches created for the Oktoberfest celebrations on board. The selection includes a Pretzel Roll filled with Egg Mayonnaise and Cress and a Turkey Meat Loaf Roll. These will be complemented with Obatzda and Duck Schmalz dips. In First and Business Class, customers travelling from Dubai to Germany can enjoy a seasonal menu of Chicken Nürnberger Sausage served with mashed potatoes, sour cabbage and mustard. 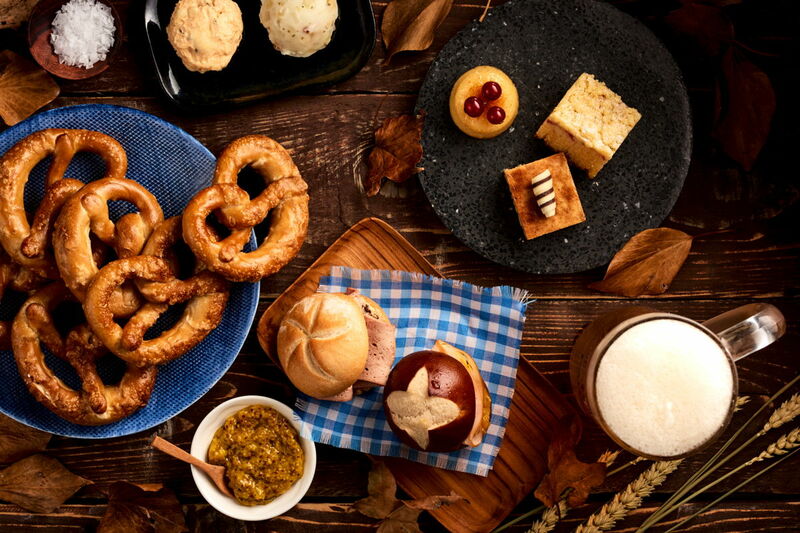 This special Oktoberfest meal is in addition to the usual regional gourmet cuisine served on all Emirates flights. 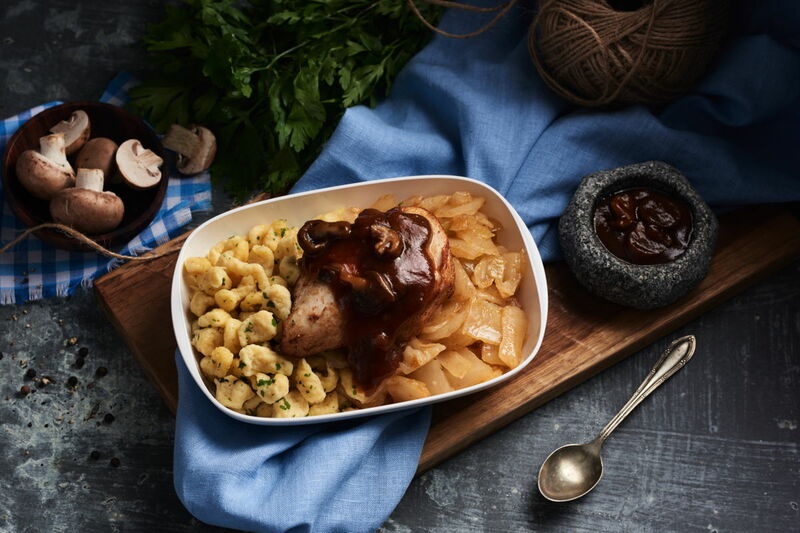 Customers in Economy Class travelling to Germany can look forward to chicken with mushroom sauce and Bavarian Kraut. The Emirates Lounges in Germany, where First and Business Class passengers, and Emirates Skywards Gold and Platinum members can relax prior to their flight, will also offer a special Oktoberfest selection on its menus. During the festival, the lounges will serve minced meat patties known as Frikadellen, Leberkäs Weisswurst with Soft Pretzels and Obazda in addition to the regular full menu selection. In all classes, Emirates serves multi course meals prepared by award winning chefs. The regionally inspired cuisine is often complemented by seasonal offerings, such as Christmas meals as well as Lunar New Year, Diwali and Eid menus. The Oktoberfest spread is exclusively available on routes to and from Germany. Emirates connects people and places around the world with three daily services each from Frankfurt and Munich and two daily flights each from Düsseldorf and Hamburg. Emirates has been flying from Germany since 1987, inspiring travel and promoting trade relations worldwide. Emirates operates several daily connections from Frankfurt, Munich and Düsseldorf with its flagship Airbus A380. From 29 October 2018, the A380 will also be in service on one of the two daily Hamburg flights.